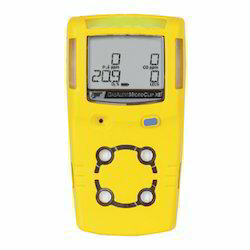 We are offering Tetra 3 Multi Gas Detector. We are known for creating a wide range of innovative and sustainable products for the industrial markets among which Oxygen Detector stands on its design, strength and reliability. Usage: Continuously for 5,000 hours. - Sensors mounted in diffusion mode. - 16 X 2 alphanumeric display with backlight. We offer all types of gas detector for oil & gas, construction business. - Continuous LCD shows real time gas concentrations. 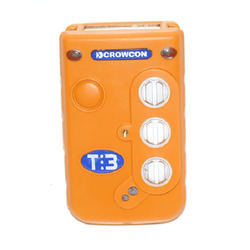 We have got wide range of Multi Gas Detector / Portable Gas Detector / Gas Monitor. We have got stocks for Marine Multi Gas Detector in various high quality brands. We have got stocks for Marine Portable Gas Detector in various high quality brands. We have got stocks for Marine Gas Monitor in various high quality brands. In order to carve notable position in the industry, we offer performance based array of Multi Gas Detector that are durable in nature and are compact in sizes. Our entire product range ensures durability at users end and is abrasion resistant in nature. These products are known for their precise use and sturdiness. Designed for group protection, area monitoring and providing a virtual fenceline, Detective+ is a rugged, interconnectable, multigas temporary area monitor.